I have been thinking a lot about my wardrobe after my clearout and reorganisation this week. 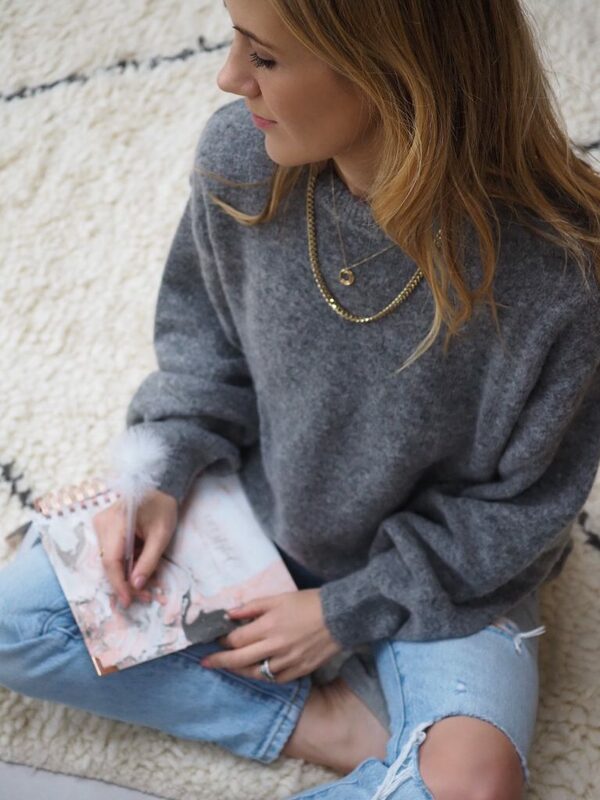 Perhaps more specifically, my winter uniform – a cosy knit, jeans or leggings and boots. It’s a formula that works for me, (unlike winter dresses and boots, why I don’t just give up on the idea altogether, I don’t know!) and one that I need to stick to. 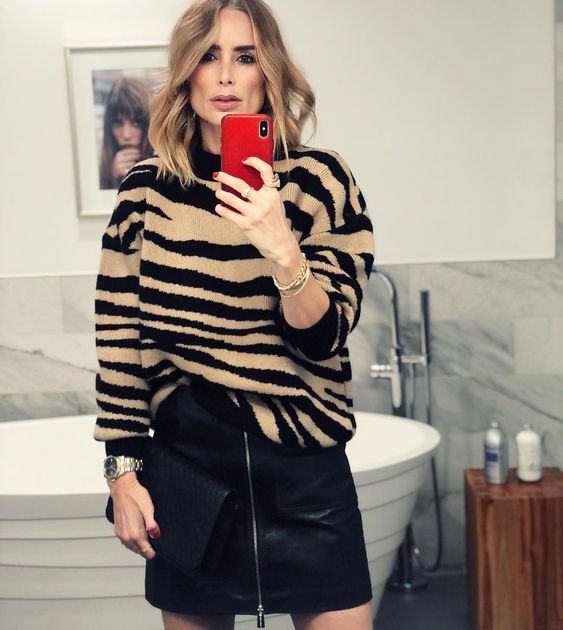 It fits my lifestyle (a mixture of work meetings, events and the typical mum duties) and most important of all, it’s the outfit I feel my best in. 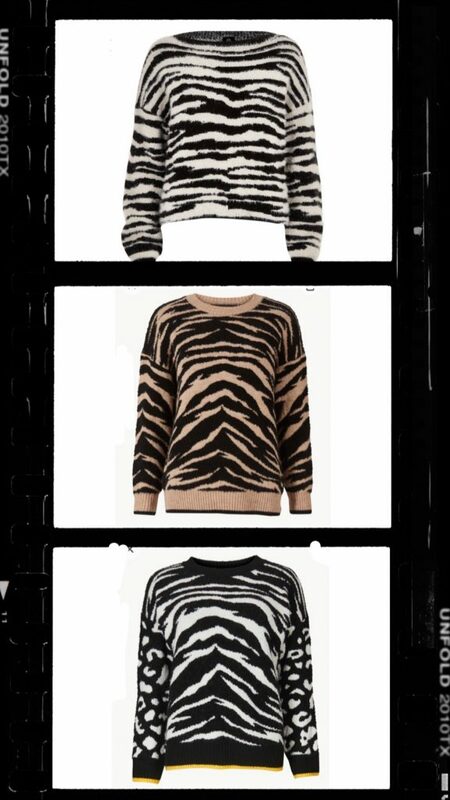 At a €449, Anine Bing’s beautiful cashmere Zebra knit is well beyond my budget. This M&S version is a very affordable £35, but I preferred the colour way of the River Island Zebra knit and at just £25, it seemed like a steal. 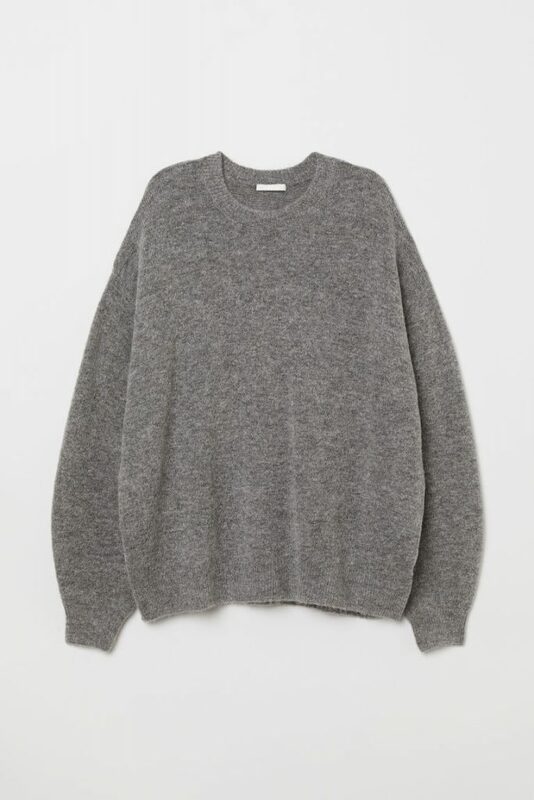 It’s a little more expensive at £100, but I really love this jumper from French Connection. It has a designer feel to it with it’s assymetric hem and colour blocking. 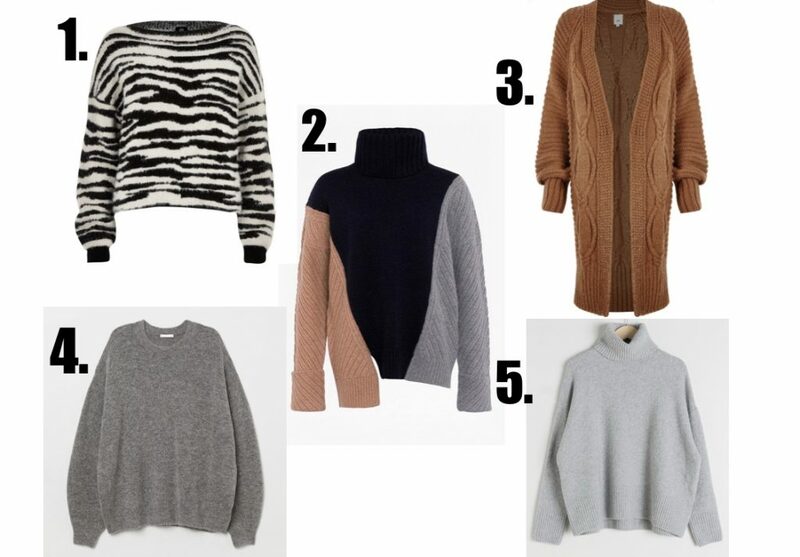 I also love the oversized shape and high neck. 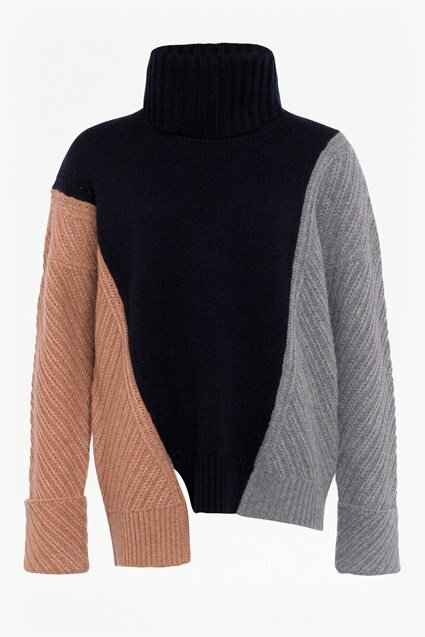 It would work really well with my leather (and Commando) leggings and these three colours happen to be my favourites it winter. Wearing Levis, Initial necklace by Robinson Pelham and thicker chain my 21st birthday present from my Gramps! Believe me when I say that this is a good buy for £24.99! I spotted it in store yesterday and thought it looked expensive, so was hugely surprised when I looked at the price tag. It came home with me, and I wanted to wear it straight away, which is always a good sign. (In fact it’s my new rule, if I don’t want to wear something in the first week of having it, it goes back. The slouchy sand coloured boots from Zara? I haven’t worn them and I have had them for a week, so they are heading back…) I am wearing a size XS. 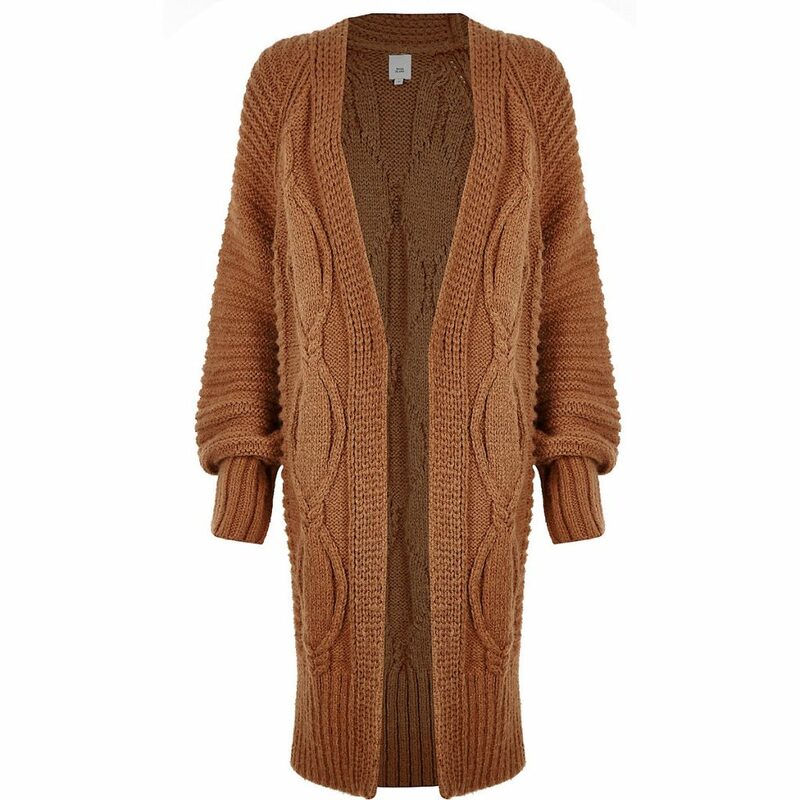 I think &otherstories would have to win the award for best high street knits. 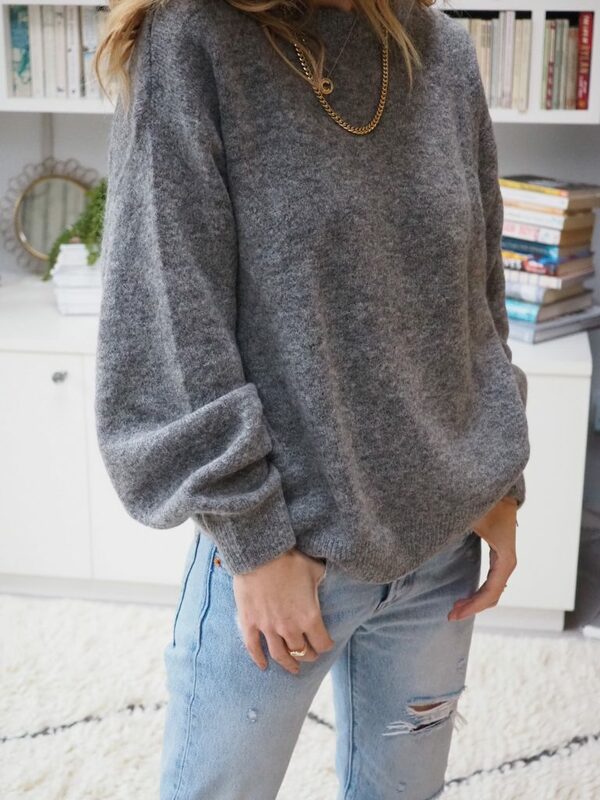 My cream oversized cable knit jumper that I bought at the beginning of December has been worn to death and washes really well. 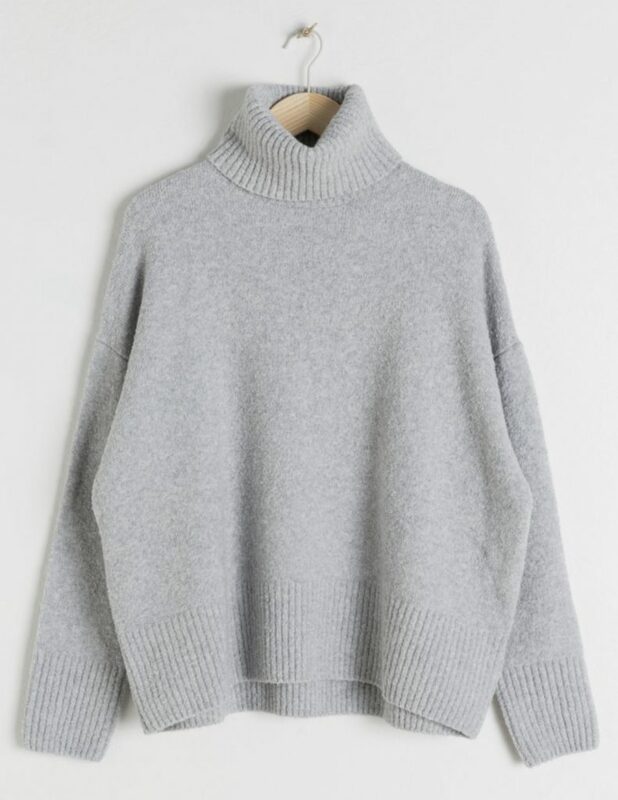 Stories is my first port of call for affordable, knit staples – their oversized styles are fresh and the prices seem right for the design and quality. I really love this shade of grey ( I think it’s called heather?) and I think this would be a piece that you couldn’t get out of the wash quick enough. My next blog post will be on my three favourite concealers – back soon!